Marvel Super-Heroes Are Here! Romita designed this for drugstores and mom and pop shops selling comics? The way the figures are depicted, and their choices (Namor, Black Bolt, Silver Surfer alongside the Avengers, Hulk, Spider-Man, etc) make me think this was done in the early 1970s. Or perhaps the late 1960s--I see that Captain Marvel is wearing the original white and green costume designed by Gene Colan. 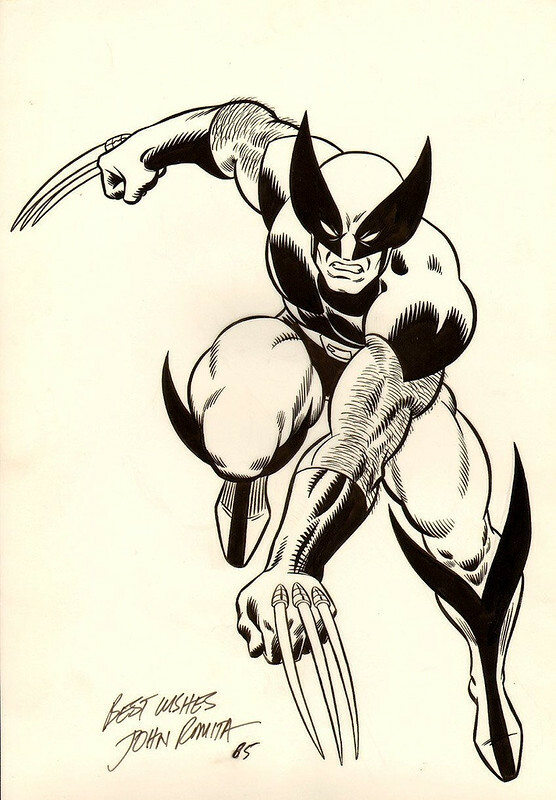 Wolverine in action! Circa 1985, this was a pinup or a poster piece. Spider-Man Birthday card! No coincidence, today is also my birthday. 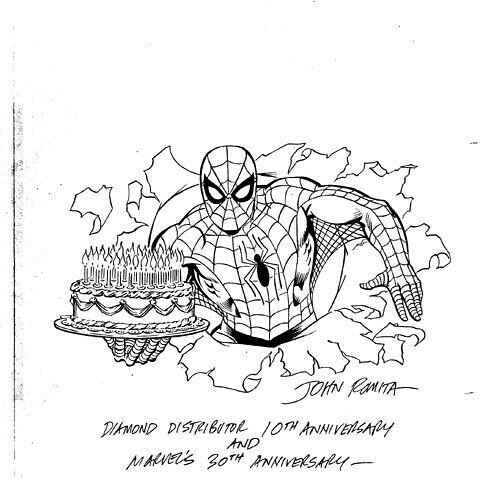 This was an illustration Romita made for Diamond Distributors on their 10th anniversary. Pretty good to get a hand drawn card from the master, eh? Nuff Said! Happy Birthday, Richard! Mine's coming up on Thursday the 20th! 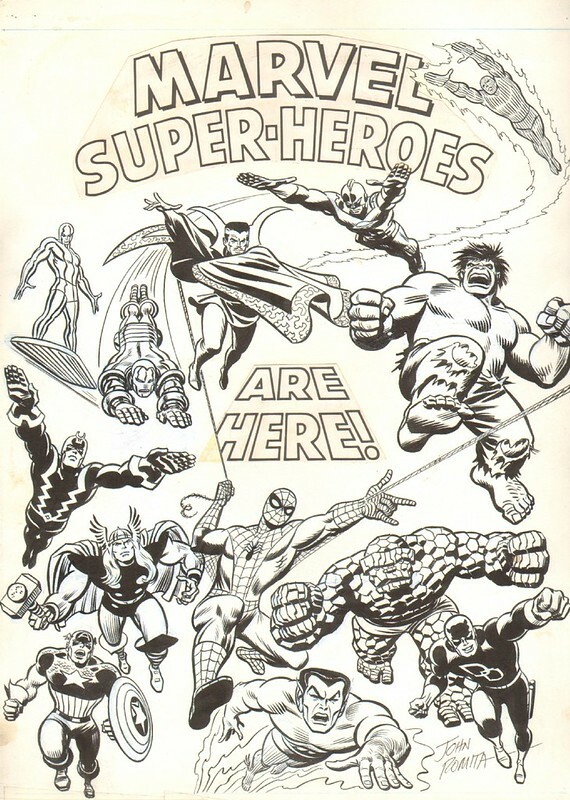 Actually, wasn't the "Marvel Super-Heroes Are Here" a promotional poster that Third Eye Publishing used for the black light posters they sold in 1971? I own the black light version of this poster, and Third Eye Publishing made it in 1971.